What are those creepy things in my lawn? Grubs! 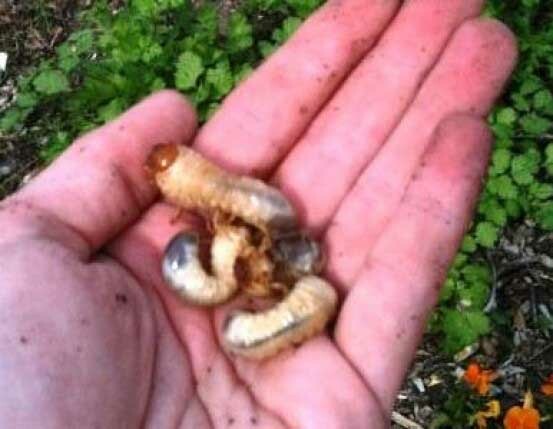 It’s that time of year, so some of you may be starting to see grubs in your lawn and landscape. At this point in the season, they are big, fat and creepy! Grub worms are the larval stage of insects known as May or June beetles. Grubs typically attack the roots of turfgrass, but can also damage roots of ornamentals and vegetables in certain situations. While there are many species of grubs found in North Texas, only two have been found to cause damage to turf grass: The June beetle and southern masked chafer. These grubs do most of their feeding on your plant roots in summer and fall. Most other grubs feed on organic matter in the soil. That’s why you may find more grubs in your foundation and flower beds because they contain more organic matter. These other species of grubs tend not to cause too much damage to plants. If you keep your turf grass healthy, by keeping your soil healthy with organic matter, you can reduce the impact grubs have on your turf.